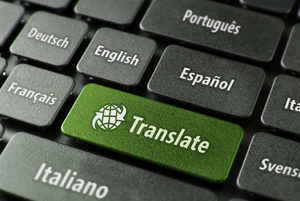 Can you benefit from multilingual functionality? Creating a multilingual ecommerce and fulfilment solution opens the door to a global audience. Businesses, no matter how large or small, can benefit from the multilingual ecommerce and fulfilment functionality offered by PRIAM. The rise of Internet use globally allows you to benefit directly by creating a user experience that is not bound by borders, language or currency. Multilingual web sites and multi-currency processing are only part of the answer. To be successful you also require a multilingual fulfilment process. You need to confirm the order by email in the local language. You need to create multilingual despatch documentation and you need to link to local couriers to despatch the orders. PRIAM does this for you. PRIAM offers a fully integrated solution that allows you to take your English language database and add in the language requirements for wherever country you want to do business in. From a single database you can run your UK multi-channel business alongside a German eCommerce site and fulfilment operation and even a Chinese eCommerce site and fulfilment operation. The possibilities are endless. To find out more about our multilingual eCommerce or multilingual fulfilment solutions please click on the link below.